The Lifetime series that traced allegations made against R. Kelly prompted many reactions on social media. His daughter, Joann Lee Kelly, opened up about the situation after the show’s airing and essentially apologized to her father’s alleged victims via Instagram. 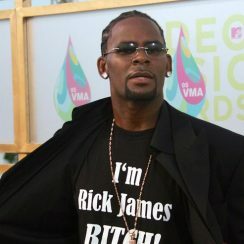 According to sources, R. Kelly thinks the reason for her stance is due to brainwashing. From his perspective, Her mother who was one of the most prominent voices in the documentary series, manipulated and turned all three of his estranged kids against him. Joann’s calling him a “monster” is being perceived as an imitation of her mother’s vitriol, rather than an authentic opinion. In 2015, she and her father collaborated on a song that seemed to deal with the tenuous relationship. Insiders claim her mother drove them apart after becoming upset about them being in the studio together. Although the feelings expressed by both Drea and Kelly are clearly unfavorable, insiders say that Robert still hopes to repair his relationship with his daughter.